As you may know by now, ArkCase provides you with an adaptive case management platform that is dynamic to fulfill all your business requirements. But, do you want to improve the productivity and efficiency of your organization further? Today is your lucky day! 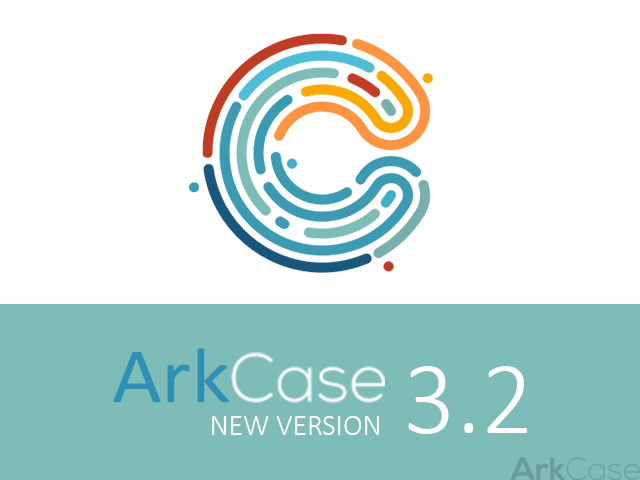 We are introducing the ArkCase v3.2.0 new powerful features which include a lot of enhanced functionalities from contact management, to enhanced workflow designer integration, to log analytics module. Check them out. Click Here to Learn More About “What’s New”. The new People and Organization ArkCase module is a flexible contact management functionality that helps you easily and more effectively add new contacts from Complaints, Case Files, and Forms. With ArkCase contact management, you can merge existing Peoples or Organizations and Import and Export Peoples and Organizations via CSV/XML. You can check the complete list of features here. The document repository module in the new ArkCase v3.2.0 allows you to create new repositories to store all the documents that are not directly related to cases and other objects in the system. This repository module enables you to organize these documents so you can collaborate, version, and use them as a central repository of organization documentation. You can see all the functionalities in the document repositories module here. The internationalization feature provides you with the ability to set your preference on language within the Application. This feature allows you an easy access and a simple way to change your language preference from any page in the application as needed. With the enhanced Queue Module you can configure a queue-based workflow around specific states. That means you can configure the queue workflow to jump to multiple different queues in the overall workflow from any of the different queues. 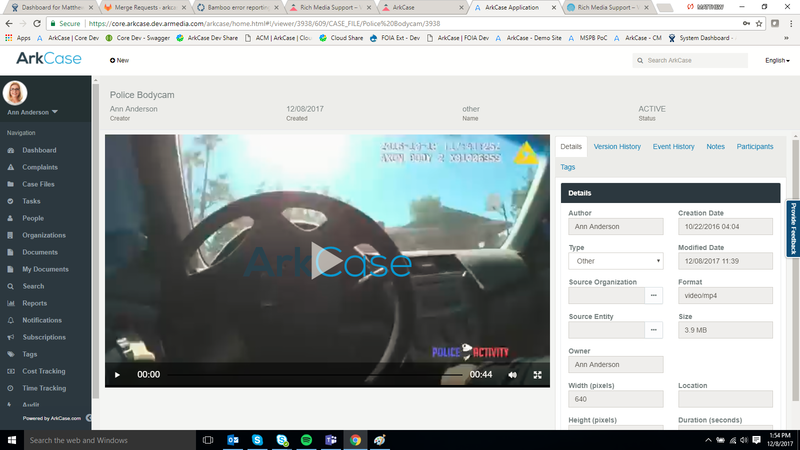 The document management functionality of ArkCase supports a lot of types of media, including video and audio files. ArkCase can stream, store, or download these files in native format. Also, you can transcribe a video or audio file directly from the viewer page. The Tags Module improves your information for future discovery. The Tags Module allows you to search for objects with tags that have been added during the indexing process. Once you search for the tags, you can sort, export, hyperlink the results to get directly to the object. The Log Analytics Module provides you the ability to run metrics and ad-hoc reports/queries against the system logs. The analytics are driven by ELK (Elastic, Logstash, and Kibana) stack. So how does this all sound for improving the productivity and efficiency of your organization even further? With implementing all these enhanced, powerful features to the new ArkCase v3.2.0 version, we wanted to make sure that your business is a few steps ahead of your competitors. If you have any other features in mind that you would like one case management solution to have, then feel free to reach us out, and we will make it happen. Don’t forget to share this with your friends on the social networks so they can improve their businesses too.